I'm madly in love with Amanda Tapping, that's no secret. But this is way beyond my threshold for silliness involving my Stargate SG-1 & Sanctuary lovely. 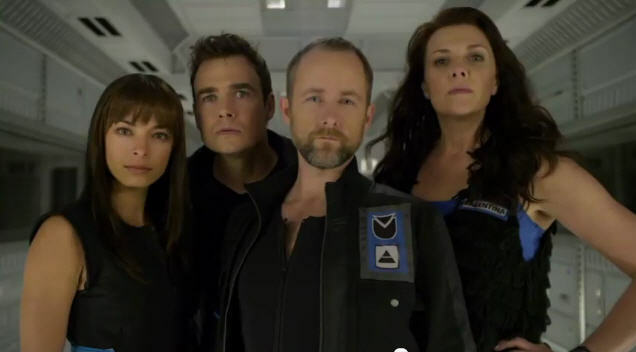 Space Milkshake is a sci-fi comedy film starring Amanda Tapping (Stargate SG-1), Robin Dunne (Sanctuary), Billy Boyd (Lord of the Rings trilogy) and Kristin Kreuk (Smallville) and as you can see from the trailer below it's completely wacky and I'm not so sure I could sit through 10 minutes of it, let alone the whole thing. Still, it does have Amanda and Kristin so it's not all bad.